Are you still looking to add courses for Fall 2019? Take courses on either of our two campuses, in Calgary or Lethbridge. Learn from experienced instructors and colleagues who, like you, are engaged with the real world. Do you want to find out more information about the programs available for you at the University of Lethbridge? Applying to university means having questions...lots of them! The Admissions Office has the answers to your questions on application procedures, admission requirements and more. 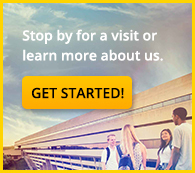 Are you planning to register for a course at the University of Lethbridge? Do you need program planning information or information about a specific course? Do you need to view the Academic Calendar, find more information about Policies, Final Exam Schedule, or fill out a form? Use the links to the right to easily access the information you need. 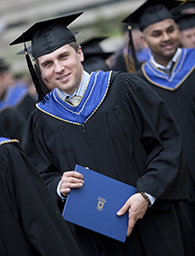 As a graduate, you have earned a place among the more than 33,000 University of Lethbridge graduates who are making a difference in their careers, communities, and around the world. The University of Lethbridge Alumni Association is committed to helping you stay connected to your fellow alumni and your University. Do you want to find out more information about the programs available for students at the University of Lethbridge? Applying to university means having questions...lots of them! Here you can find information about Admissions and Registration. The Scholarships and Student Finance Office is committed to helping you understand your funding needs and the sources of financial aid available to you. Do you want information about additional services that are available to you? The University of Lethbridge is committed to respecting the privacy of all individuals, and operates in accordance with the Freedom of Information and Protection of Privacy (FOIP) Act. Please read our Web Privacy Statement regarding the collection of personal data for the purpose of student recruitment and admission. If you have any difficulty accessing the forms, please contact the Registrar's Office.